Be the first to share your favorite memory, photo or story of Taci. This memorial page is dedicated for family, friends and future generations to celebrate the life of their loved one. 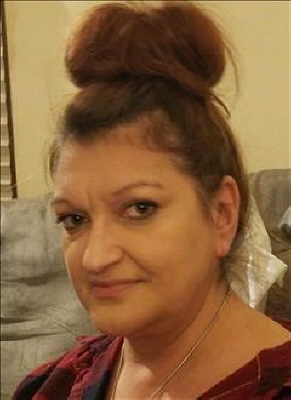 Taci L. Young, 52, of Wapakoneta, OH, passed away unexpectedly on Thursday, April 4, 2019 at her home. Taci was born on June 2, 1966 in Marion, IN, a daughter of Michael and Linda Keim Young, who reside at Indian Lake. She was preceded in death by maternal grandparents, Keith and Betty Keim, and paternal grandfather, Cleome "Smokey" Young. Taci is also survived by two sons, Brooks (Mia) Hodge and Christian Alltop, six grandchildren, Mikayla, Chloe, Nixon, Carsyn, Christian, and Noa, a brother, Michael P. Young, paternal grandmother, Pat Young, her life companion, Dirk Williams, and beloved pets, Cheech and Bella. Taci was a 1984 graduate of Indian Lake High School. She also graduated from OSU-Lima with a degree in Criminal Justice. Taci loved to learn and pursued knowledge most of her life. She enjoyed watching NASCAR, especially Martin Truex, the OSU Buckeyes and Cincinnati Reds. Taci was a Happy, Loving and Good person. Friends and family may gather to celebrate Taci's life from 10-11 am, Saturday, April 13, 2019 at Shoffstall Funeral Home, 205 S. Main St, Lakeview. Pastor Shelley Stephenson will begin memorial services at 11:00 am at the funeral home. Memorial contributions may be given in her name to St. Jude's Children's Hospital. Arrangements are in the care of Shoffstall Funeral Home, Lakeview. Condolences may be expressed at shoffstallfuneralhome.com. To send flowers or a remembrance gift to the family of Taci Lynette Young, please visit our Tribute Store. "Email Address" would like to share the life celebration of Taci Lynette Young. Click on the "link" to go to share a favorite memory or leave a condolence message for the family.